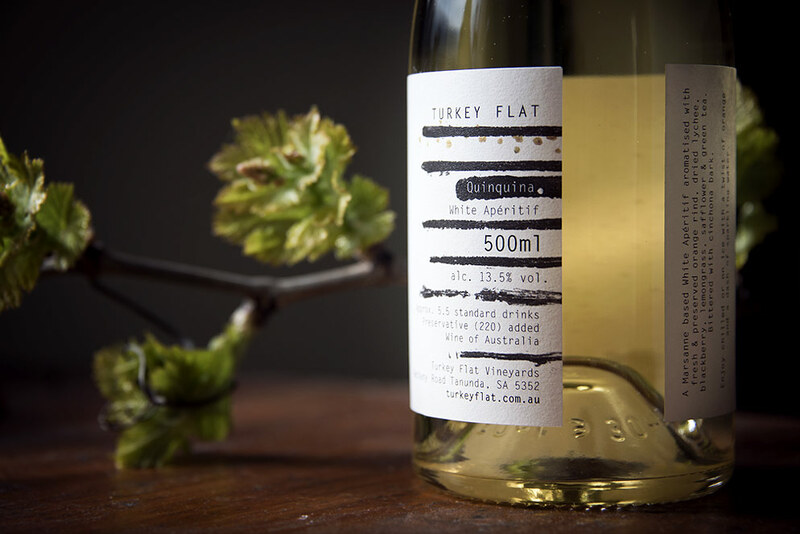 I was commissioned by Turkey Flat Vineyards to illustrate and design the label & neck-tag for their inaugural 2015 white aperitif, Quinquina, which is a delicious aromatised white. 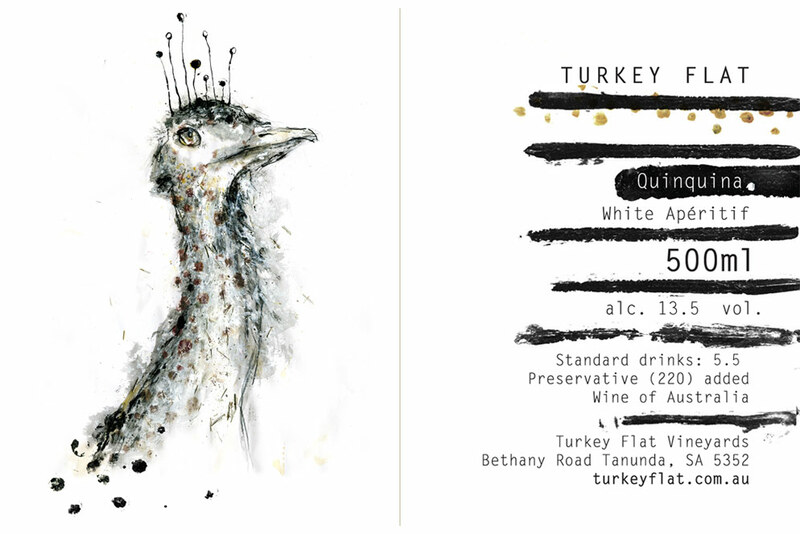 I worked closely with Alex Schulz from Turkey Flat on this project, to reinterpret the native Australian bustard bird, which I painted using Japanese ink, acrylic paint, green tea, lemon grass, charcoal and pencil, showcased in a clean, simple and elegant manner with a subtle bronze foil finish on the title type. 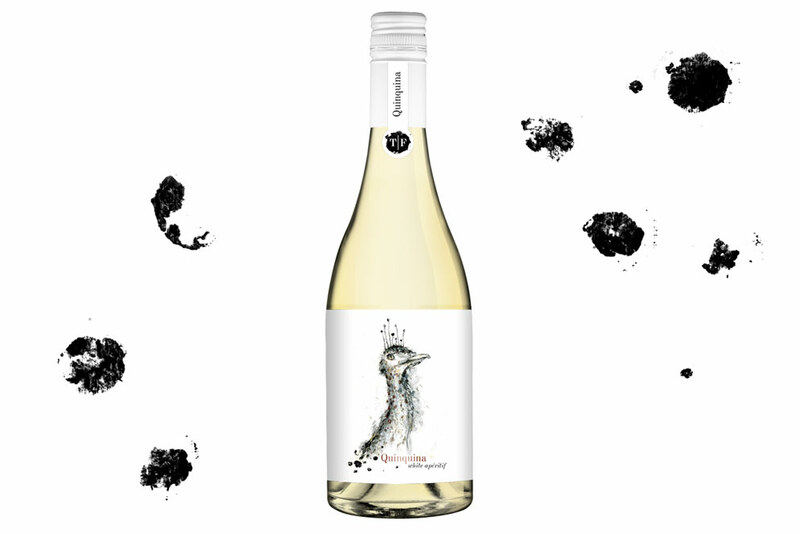 Pretty and lifted spectrum of floral and citrus aromas. 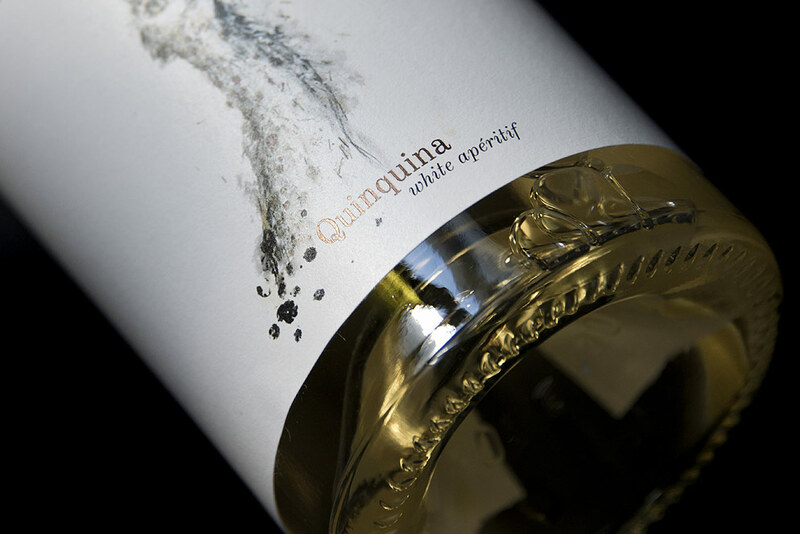 A more vinous structure on the palate compared to traditional versions of Quinquina, the remaining residual sugar provides texture and palate coating length. The Quinquina finishes with a distinct bitter grip akin to the astringency of a cup of fresh jasmine tea. 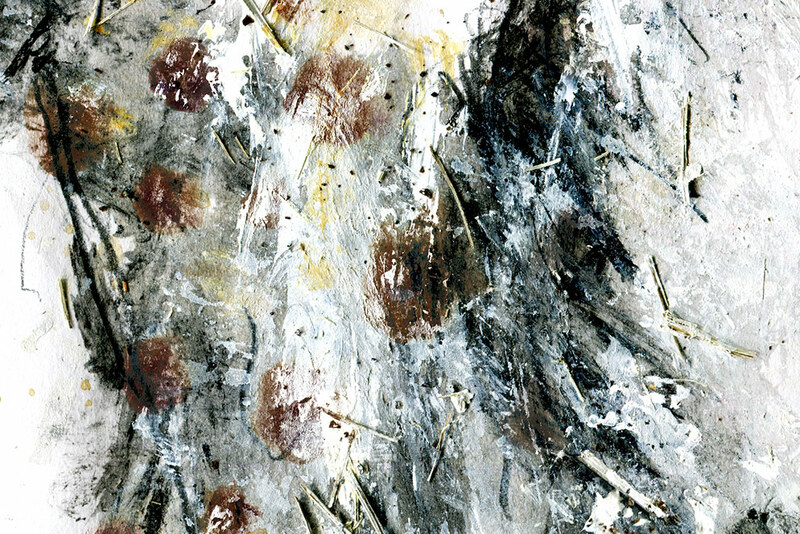 Marsanne was pressed, settled, racked and began fermentation. Our aromats were thrown in at 5 Baume and continued to ferment with the juice until the blend was fortified at 1 Baume. The Quinquina continued to infuse for a further 3 months (differing from the traditional method of adding aromatised spirit to wine). A slow process of separately simmering small batches of cinchona bark and extracting a bitter quinine solution proceeded. This solution was added just prior to bottling. 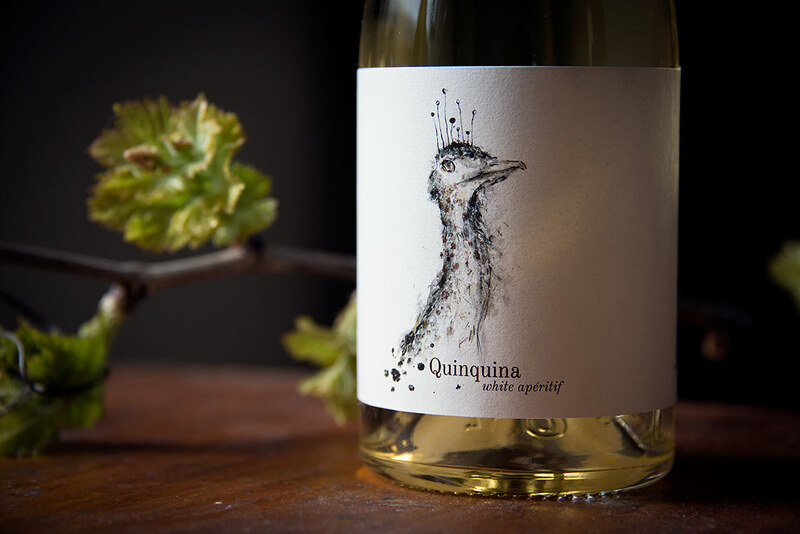 It is this process that makes this wine a Quinquina (or Chinati).